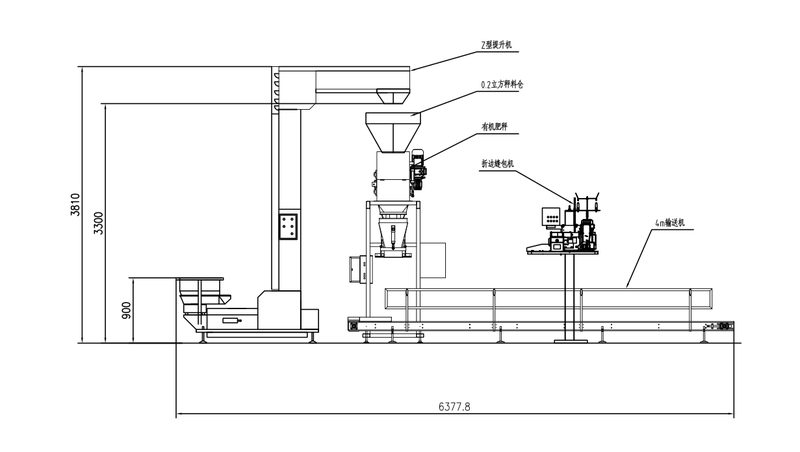 1.Equipment components include:silo,belt-type multi-stage feeding device ,bagging and weighing device ,scraping and recovery device,electrical control cabinet and electrical control system. 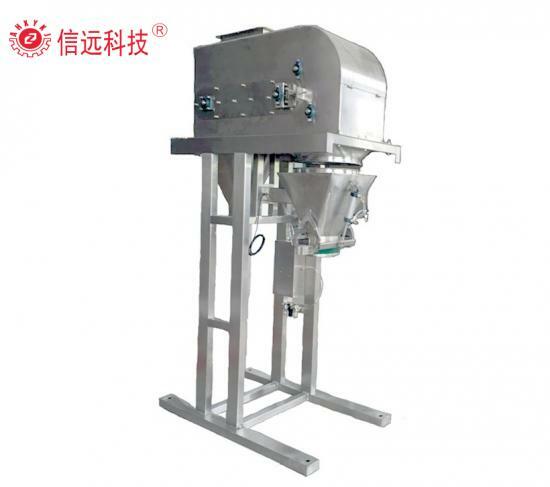 2.Belt multistage feed device automatically adjust the material thickness,the width of the material layer,feed rate ,to achieve fast ,medium and slow automatic powder feed ,improve the measurement accuracy. 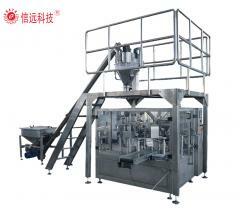 3.There are measures to prevent the material from being emptied in the silo and prevent the material from blocking at the discharge port,so as to ensure smooth material feeding. 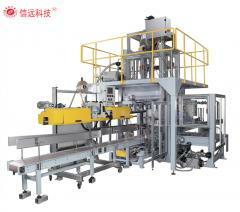 4.Acsraping and recovery device is provided to ensure that the material will not adhere to the feeding belt and that the material will not cause environmental pollution. 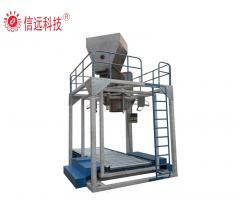 5.Production capacity:180-300bags/h,with accuracy:±0.5%（Package size 25-50kg）. 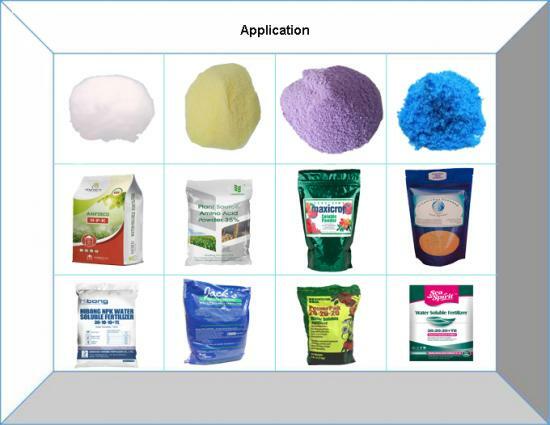 6.The well-known brands are used for weighing control instruments and electrical accessories,They have good reliability,corrosion resistance,and long lifespan,They are suitable for use in fertilizer packaging environments. 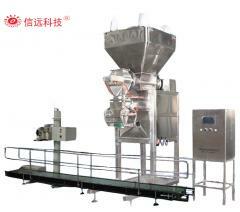 7.All contact material parts are 304 stainless steel. 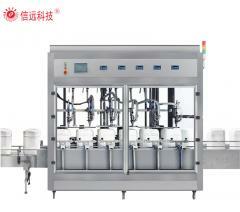 Did you find our machine interesting? 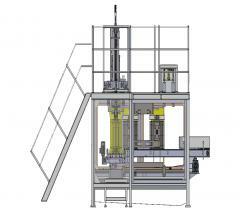 We will help you with selecting the machine, and suggest tailor-made solutions. 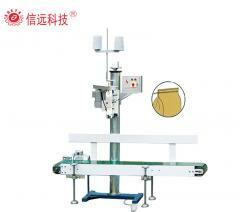 ◎One year warranty is provided for customer. 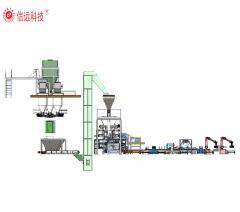 Anhui Xinyuan Packing Technology Co.,Ltd have two type powder packing machine . 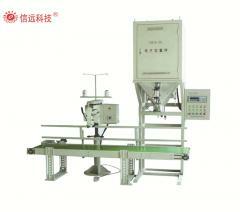 The granular fertilizer packing line is suitable for the batching, mixing, packaging of any fertilizer in granular form. 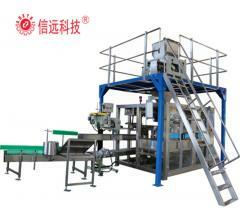 Machine material can be stainless steel 304 or stainless steel 316L. 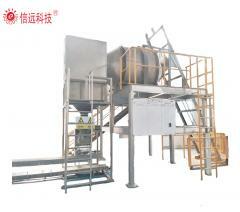 The powder fertilizer packing line is suitable for the batching, mixing, packaging of any fertilizer in powder form. 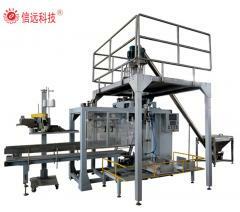 Machine material can be stainless steel 304 or stainless steel 316L. 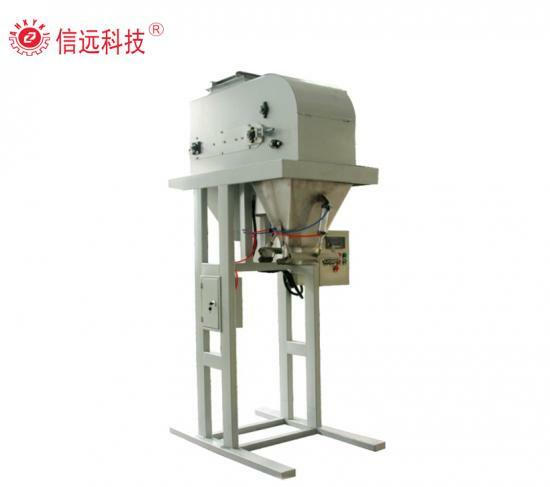 The liquid fertilizer filling line is suitable for the batching, mixing, reaction, storage and filling of any fertilizer in liquid form. 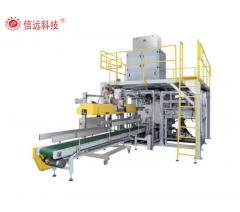 Machine material can be stainless steel 304 or stainless steel 316L. 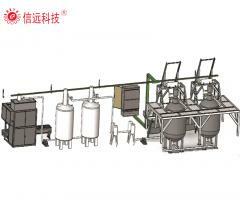 Suitable for premade bag powder form material packing, such as flour, milk powder, spice, food additive, chili powder etc.